The latest NFL news and rumors for the Oakland Raiders. 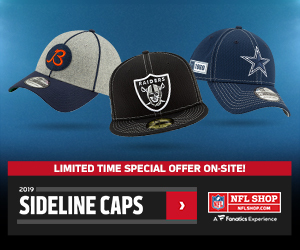 Stay up-to-date on Raiders rumors, breaking news, player reports and whispered gossip from around the league. 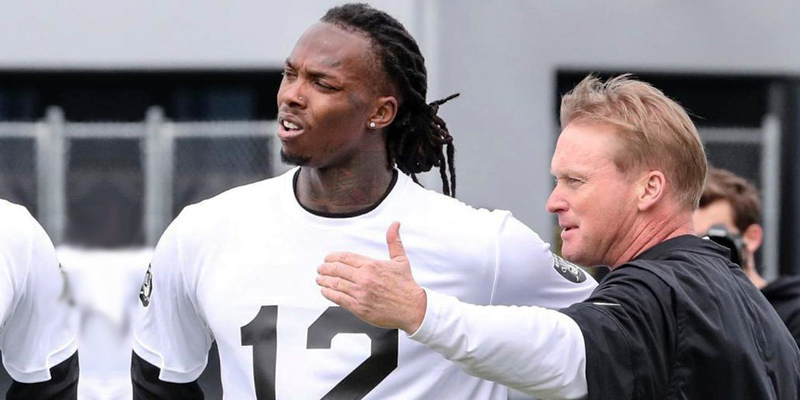 The Las Vegas Review Journal’s Michael Gehlken is reporting that new Raiders coach, Jon Gruden, hasn’t been impressed with what he has seen from former Steelers wideout, Martavis Bryant. Gruden finished his comments with a positive spin, but there was more bad than good in his current evaluation of Bryant. The Raiders did trade a third-round pick to get Bryant on their roster, but that move was loaded with risk. Bryant flashed big playmaking ability during his stint in Pittsburgh but his career has been marred by suspensions and an all-around poor attitude. Bryant will have stiff competition as the expected WR3 on the Raiders depth chart as he will be fighting Amari Cooper and Jordy Nelson for targets. Bryant has never been short on talent or supreme athleticism, so it will really be all on him to finally pull together the breakout season we have all been waiting for. There has always been too much baggage and controversy surrounding Bryant for me to take a risk on him. Bryant’s ADP is currently in the 12th round on FantasyFootballCalulator.com which is lower than it was last season when people were selecting him in the 4th round as a top-20 WR. Even with better value this season, Bryant is still a huge gamble in standard redraft leagues. His deep play threat makes him a decent late-round selection in best ball leagues and Bryant could become a solid value in weekly DFS tournaments. 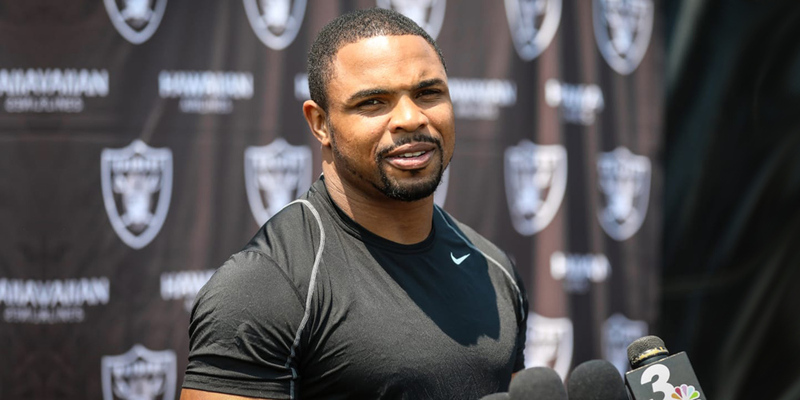 Doug Martin is looking to revive his career after he fell out of favor in Tampa Bay following consecutive seasons of sub-par play and limited availability. We all know the routine at this point. Martin has had multiple seasons as an RB1 in fantasy football with two years of 1,400+ rushing yards on his resume. The downside is Martin also has four seasons of less than 500 rushing yards on that same resume. The trend with Martin has been that when healthy both mentally and physically, Martin has performed in the two seasons in which he completed all 16 games. He averaged 4.6 yards per attempt in his rookie season as well as 4.9 yards per attempt in 2015, earning Pro-Bowl honors each year and even managed First-Team All-Pro honors in 2015 per pro-football-reference.com. Martin has his work cut out for him right now in what is a presumed committee with fellow Oakland native, Marshawn Lynch. This will be a backfield to monitor closely in the preseason to see exactly which version of Doug Martin is showing up this season. If on the right track, Martin could crush his current 11th round ADP on fantasyfootballcalculator.com as a low-risk, high-upside pick that late in drafts.